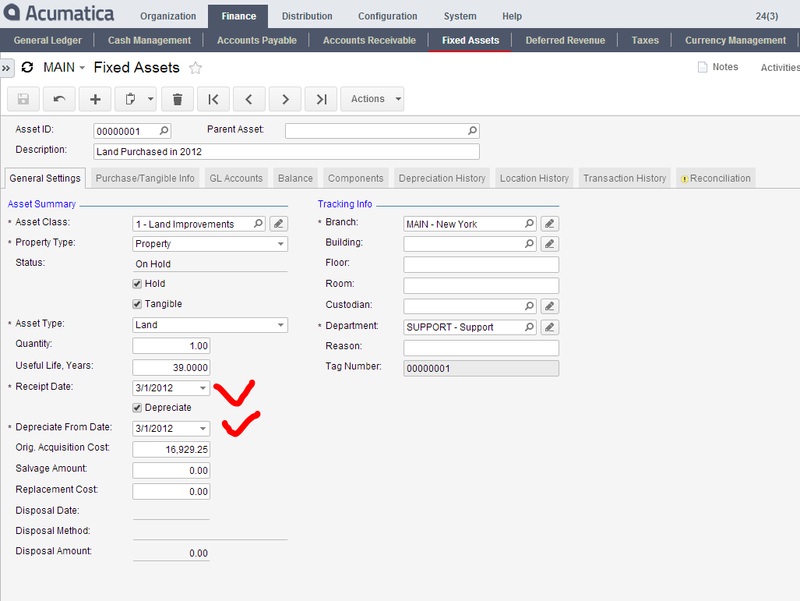 Acumatica Singapore: Adding Fixed Asset with History to FA Module. There was a question recently from one of the partners. 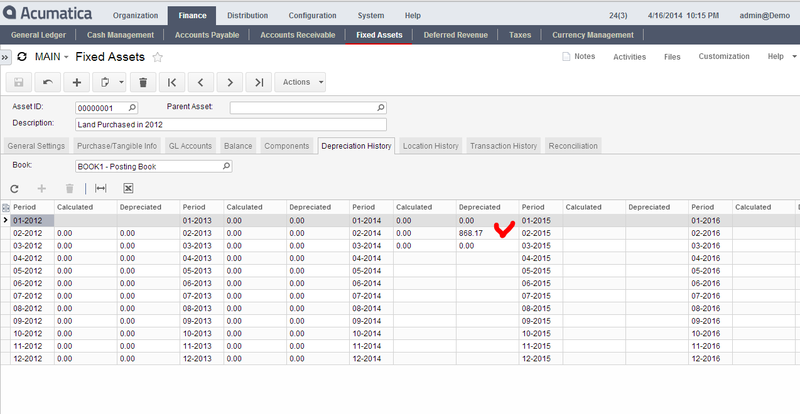 How to add asset that was depreciated previously to the system. 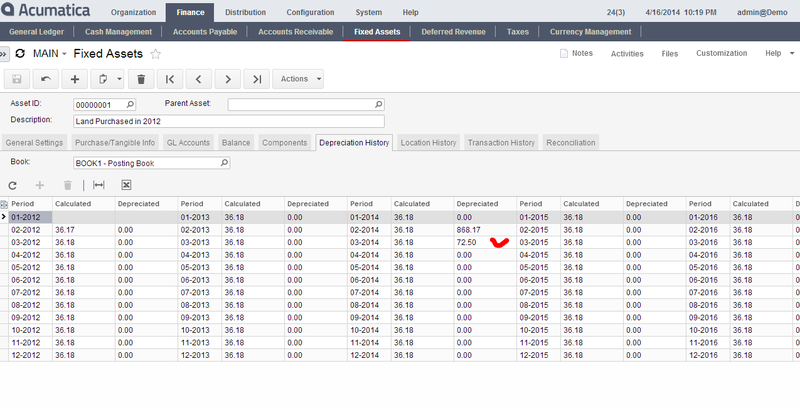 When adding asset with the existing accumulated depreciation we should indicate this fact at the moment of input. Let me demonstrate based on an example. 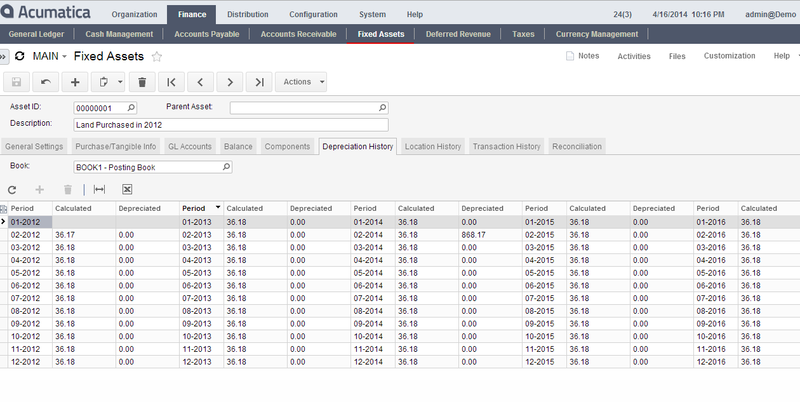 Adding "Land" Asset to a Fixed Asset module. Useful Life is 39 years, land was purchased 2 years ago. Original purchase price was 16,929.25 $. Accumulated depreciation to date is 868.17 $ for 24 month. First of all, I assume we have added this asset to our books already, either by GL or via AP. We are not going to do any postings for open balance for such asset from FA->GL. 1. Make Sure you have added Accumulated Depreciation for the asset for CR 868.17$ to AccDep A/C in GL, make sure you added DR 16,929.25$ for AssetCost A/C in GL, make sure you added DR 868.17 $ to Depreciation Expense A/C in GL. 2. 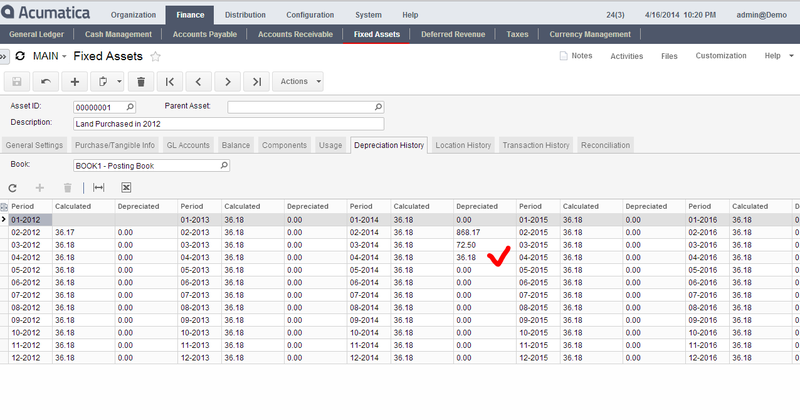 We need to switch off GL Update to make it possible to add depreciation to the asset without additional postings to GL. 4. Release the asset from Hold. Save. Look at the transaction History Tab. It created Purchasing, Recon and Depreciation Automatically. These transactions will not be going to GL. 5. Now let’s take a look at Depreciation History Tab before and after Action->Calculate Depreciation. 6. 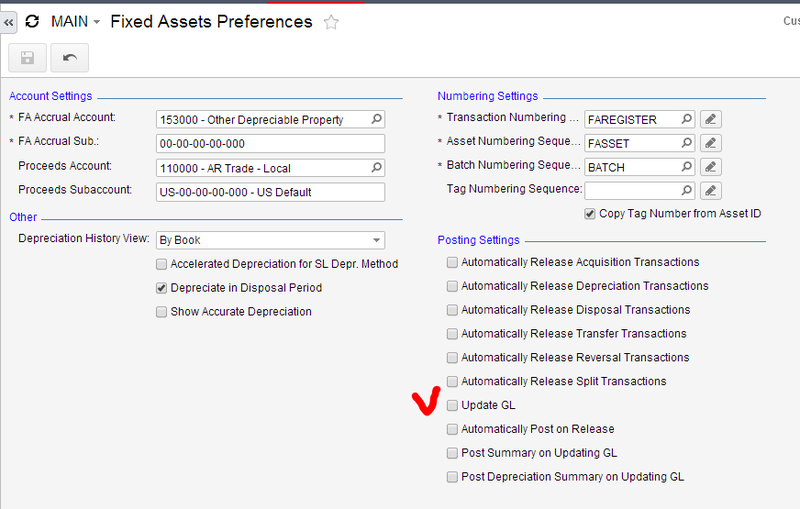 Now we can switch back GL Posting in FA Preferences Screen and try depreciating asset for 03-2014. After transaction is being released we can see the result, sorry I skipped one month so my depreciation became doubled for that month J. Next month it will be back to normal.